As a mom of three kids, the laundry can sometimes feel like it’s taking over my house. Even on the days that I actually manage to get everything clean and folded, there are still laundry-related tasks that need to be done. Things like matching socks, putting the clean and folded clothes away and ironing. YUCK! 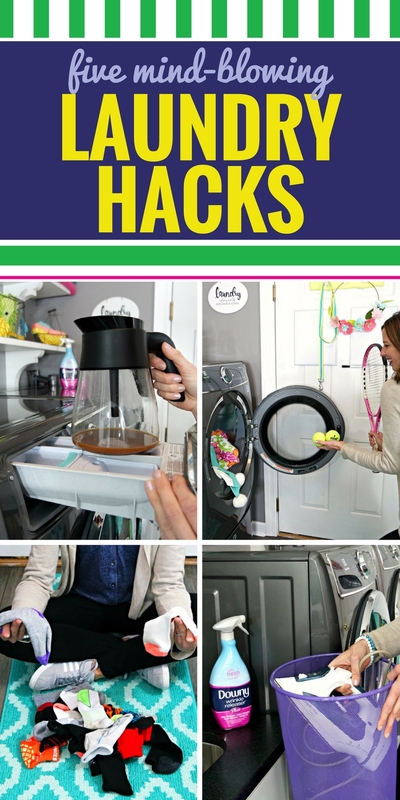 So I’m teaming up with Downy Wrinkle Releaser Plus to share five laundry hacks that are seriously going to blow your mind. 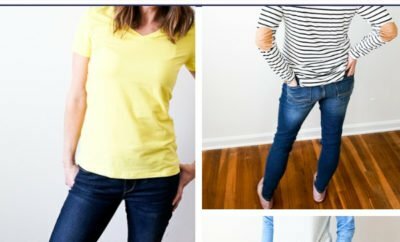 From black jeans to sweatshirts and even my daughter’s leggings, our dark clothing gets faded fast. 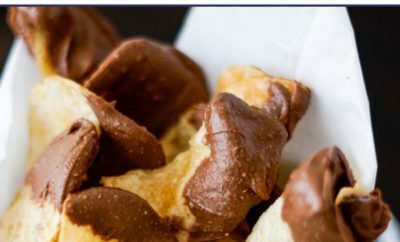 Add two cups of coffee to the rinse cycle, and your darks will actually stay dark. And – no – your clothes won’t come out smelling like you live in a coffee shop. I used to be seriously obsessed with playing tennis, but that’s not why I’ve started keeping tennis balls in my laundry room. 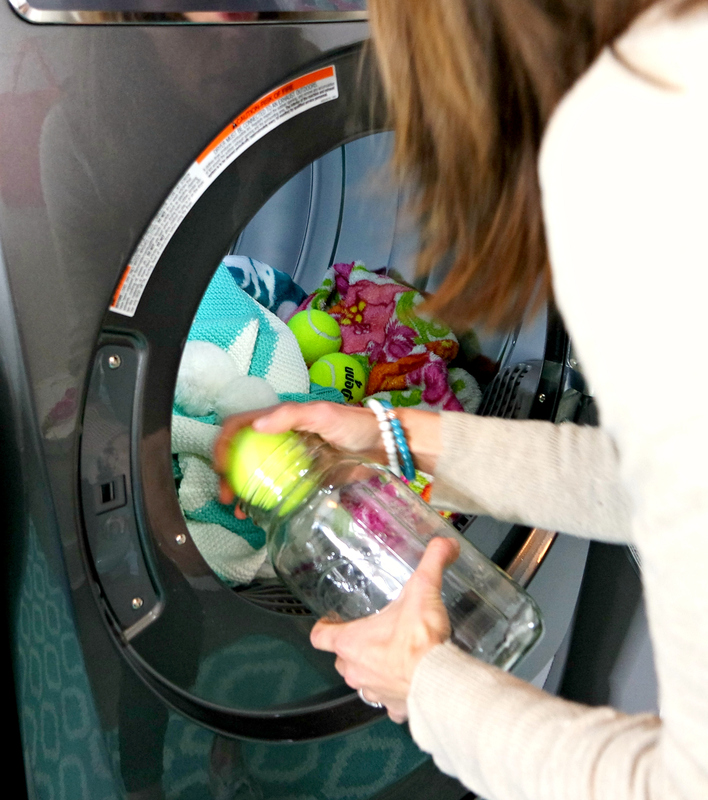 Adding tennis balls to the dryer helps to get comforters, fluffy coats, sheets and towels dry faster. I’ve even started adding them to all of our dryer loads to cut down on dry time. It actually works! Turns out, we do actually have to wear socks. Bummer! But this handy tip from my neighbor means that I’m no longer spending hours trying to match all of the socks in this house. Now, every child has their own mesh laundry bag (typically used for washing delicates). Each week, they are responsible for putting their dirty socks into their own mesh bag. 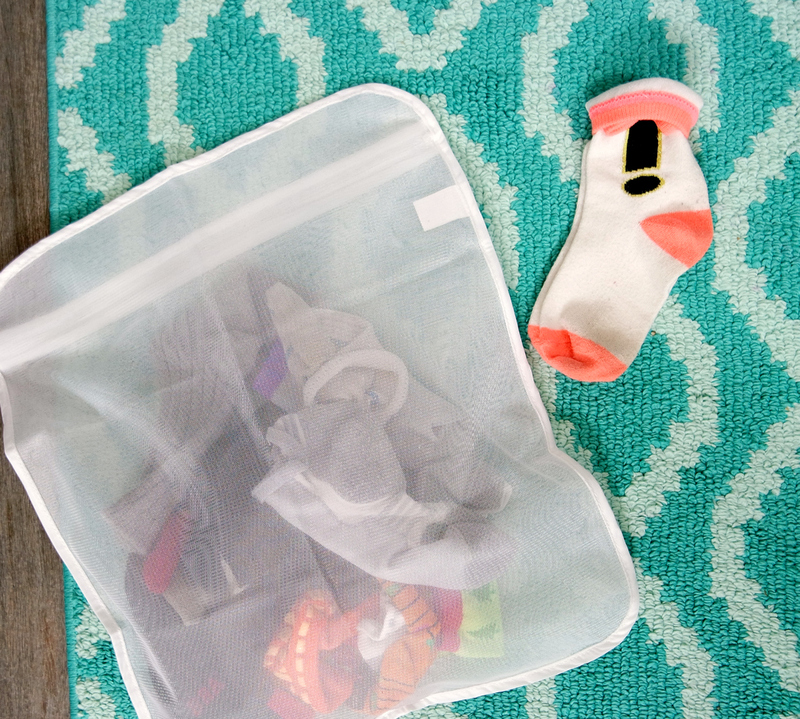 The mesh bag goes through the wash and dry cycles, and it is delivered back to them all in one piece – no socks missing. It’s like a sock miracle every single week. 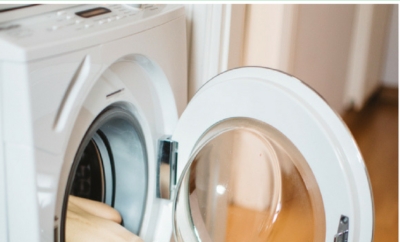 One of my biggest pet peeves used to be laundry detergent spills all over the washing machine. 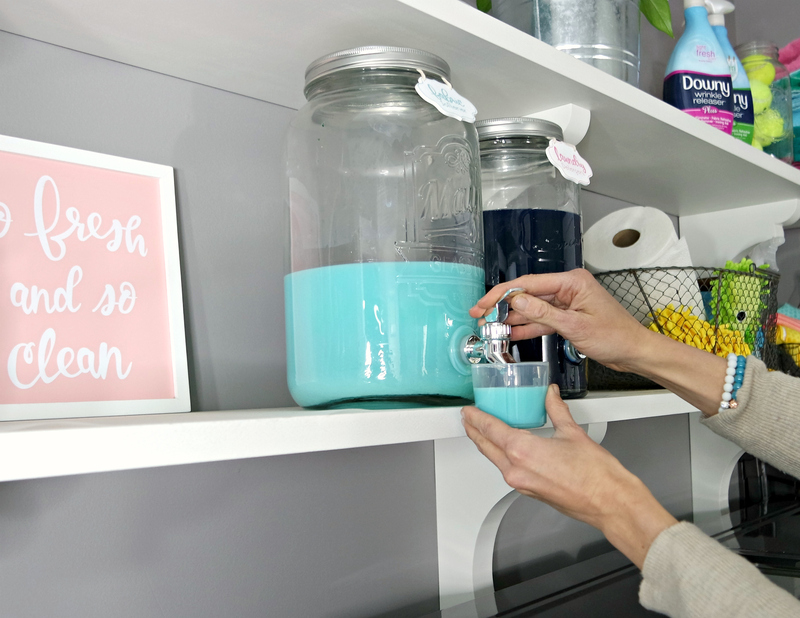 Now, I transfer my liquid detergent and softener into glass beverage dispensers. 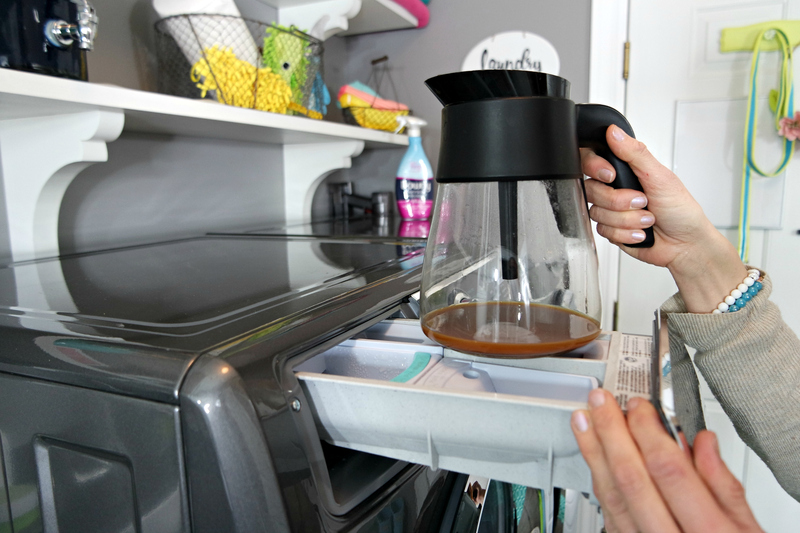 It’s quick and easy to dispense, there are no more spills, and it looks pretty too. 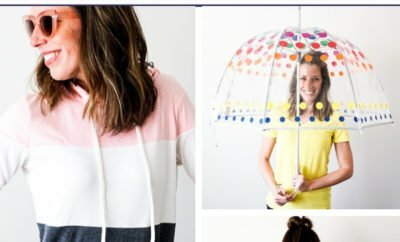 I cannot tell you how many shirts my husband and I used to have hanging in our closet that we couldn’t wear – because both of us were way too lazy to iron them. 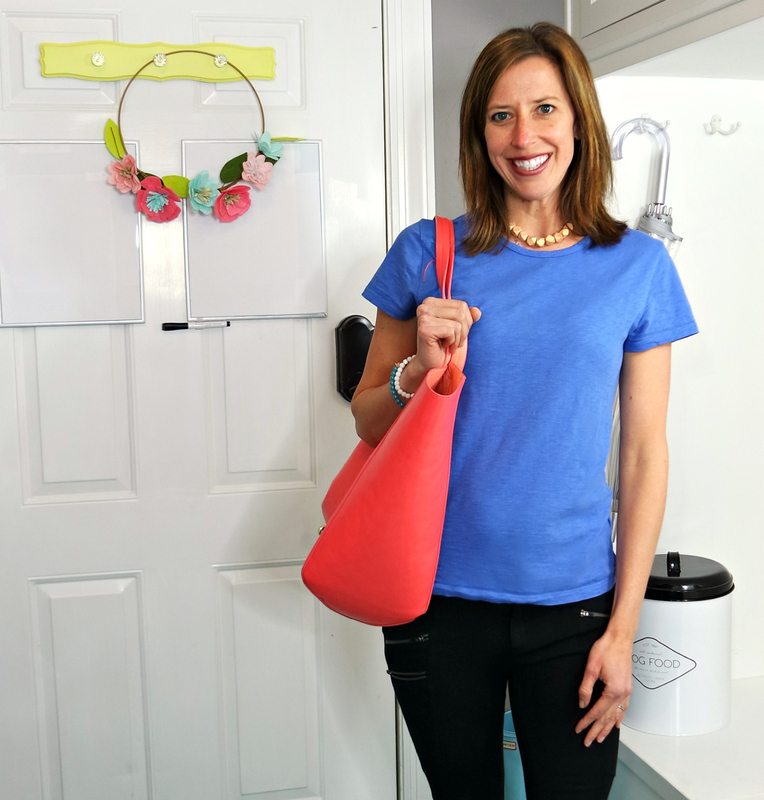 Thanks to Downy Wrinkle Releaser Plus, I threw away my iron, and my husband and I have wrinkle-free clothes to wear every day of the week. 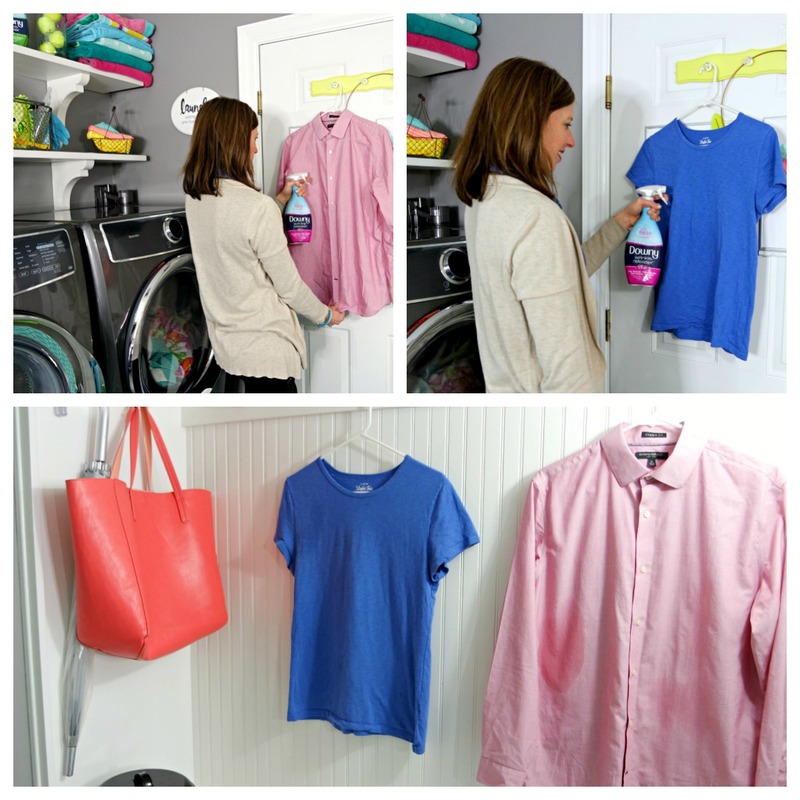 Simply spray Downy Wrinkle Releaser onto the wrinkled clothing, smooth and tug out the wrinkles and then let it dry. 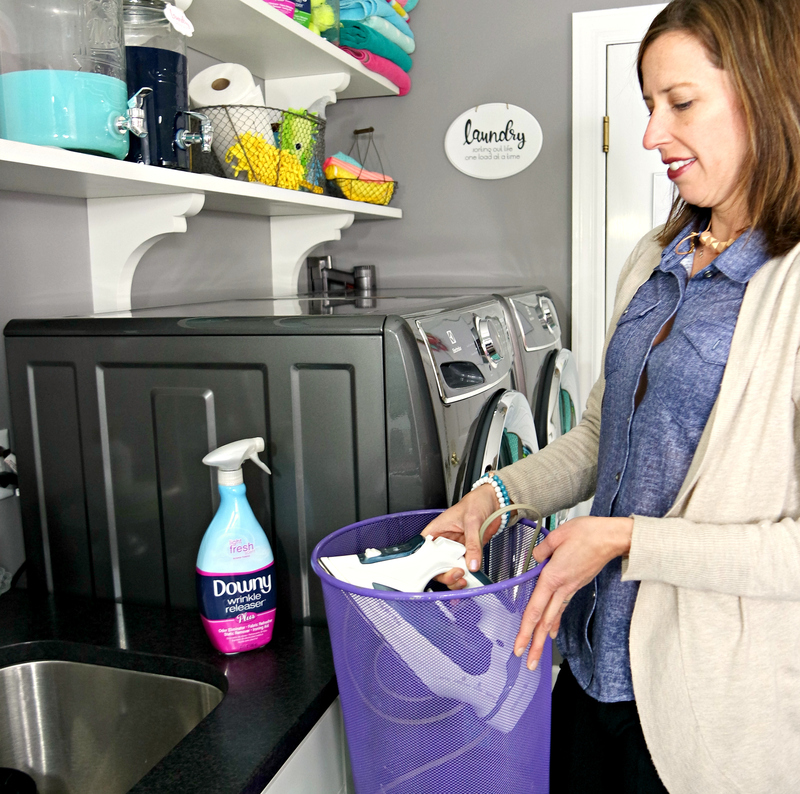 Click here to learn more about Downy Wrinkle Releaser Plus and to grab a coupon. **Special thanks to my friend Alicia for being my model for this post. Didn’t she do a great job? 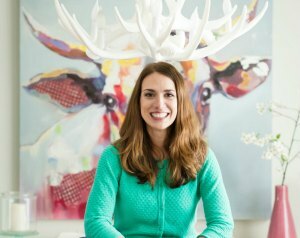 And extra special thanks to my friend Jaime for letting us use her GORGEOUS laundry room for this shoot. I have serious laundry-room envy! This post was sponsored by Downy Wrinkle Releaser Plus. All opinions are my own.